RODANTHE – Sometime during the night of Sunday, July 2, one of the favorite structures at the Chicamacomico Historic Site, the 1907 Midgett House, was hit by lightning. The lightning strike connected with the original wiring in the home, which is not in use but still runs through the structure. 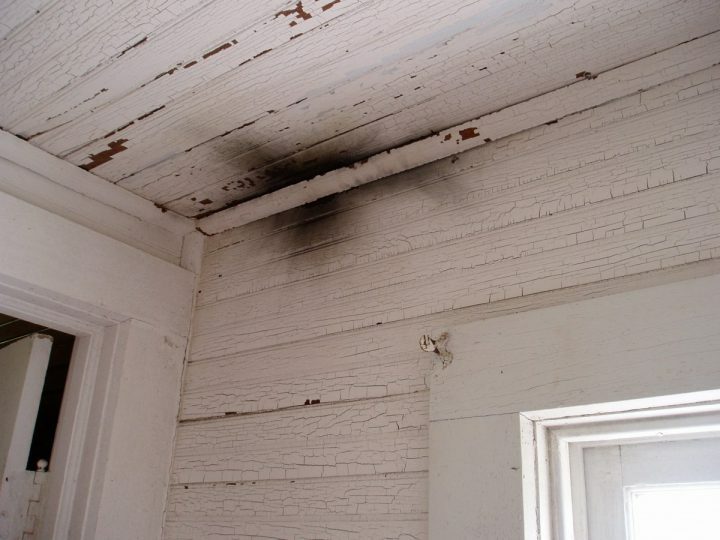 From there, the effects of the strike trickled throughout the house, damaging the original panel box, causing old paint to shake loose from the walls and, most noticeably, destroying the original chimney. Though there was no fire, the result of the strike was pretty damaging. Dinah Beveridge, the site manager, was the first one to see the home on Monday morning, as she was showing a new employee how to open the property for visitors. 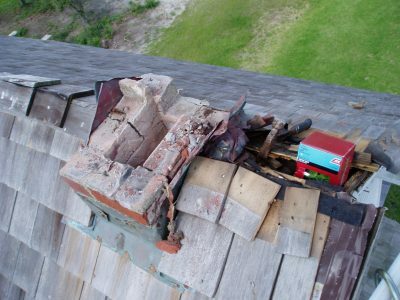 One of the biggest challenges in the restoration may be the chimney. Now, the team at this historic Rodanthe landmark is working to collect donations to restore this popular 1907 residence, and reopen it for visitors. The Midgett House was donated to the Chicamacomico Historic Site in 2006 by residents Bette Gray and Trish Midgett, who also used their own money to have the original 1907 home moved to the site. 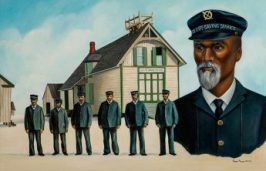 The home was an original keeper’s house for Palmer Midgett, who served at several stations throughout the island, and eventually became superintendent of all the stations on Hatteras Island later in his career. The home has two floors, featuring a total of four bedrooms, a kitchen and a dining room. “A keeper was a high and well-paid rank, so this was a nice home for the time — certainly not the home of an average Joe,” he added. As part of the five structures that are found at the Chicamacomico Historic Site, including the main 1911 Life-Saving Station, the original 1874 Life-Saving Station and two cook houses, the Midgett House is a favorite component for many visitors. Before the July 2 lightning strike, visitors could tour the intricate home, which has been outfitted with all original touches, and could step back in time to a Hatteras lifestyle of generations ago. And more often than not, this brief time travel trip brought back memories for many visitors. For now, the home is closed as the folks at the Chicamacomico Historic Site start plotting out repairs. But hopes are high that it won’t be too long before the little house that everyone seems to love is up and running again. While cleanup is a big aspect of the coming renovation process, there are some repairs and changes that aren’t as easy as applying a new coat of paint. One of the biggest projects in the restoration may very well be the chimney. Another step that the site is planning to take is to address the wiring. 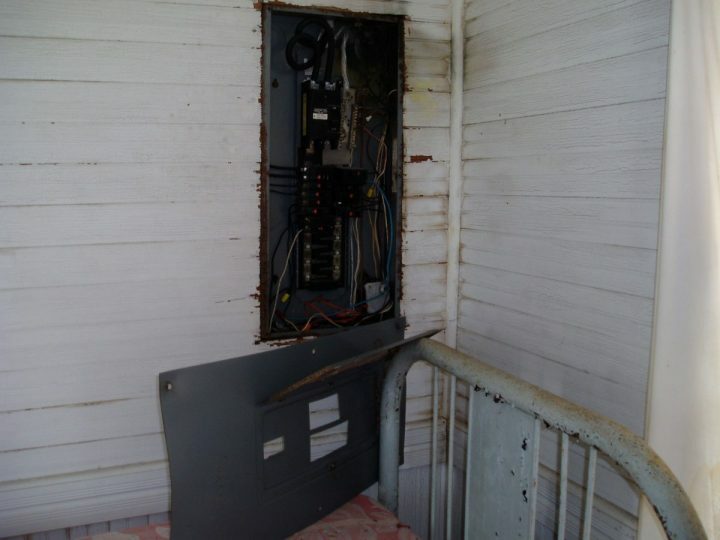 There’s no electricity to the home, but removing the wiring is slated to be part of the restoration work. Mike Daughtry, the local Chicamacomico Banks Volunteer Fire Department chief as well as the vice president of the board, helped secure the site from further damage. He placed a tarp over the open chimney to prevent further damage. “We haven’t been able to assess all of the damage – we’re still in the early stages,” said Beveridge. In the meantime, the Chicamacomico Historic Site and all other structures are open for business. Additionally, fliers are being posted throughout the villages and on social media in the hopes that donations will come in for the work ahead for the Midgett House. Please note “Midgett House” on your donation. This story is provided courtesy of the Island Free Press, a digital newspaper covering Hatteras and Ocracoke islands. 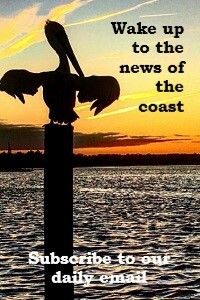 Coastal Review Online is partnering with the Free Press to provide readers with more environmental and lifestyle stories of interest along our coast. 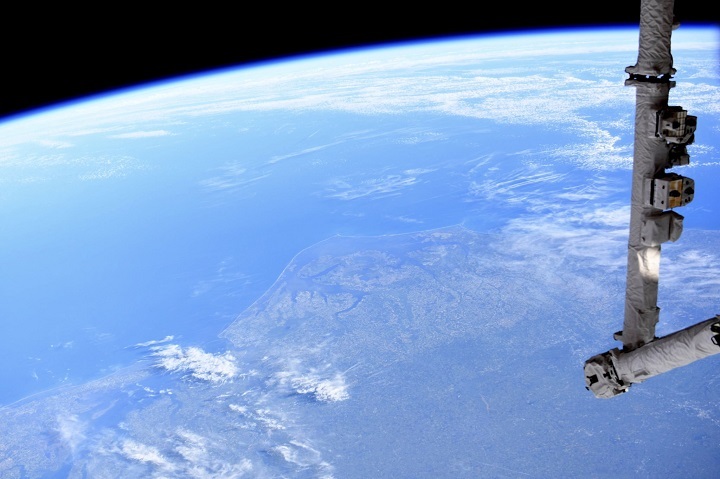 You can read other stories about Hatteras and Ocracoke here. Joy Crist is a Hatteras Island resident since 1998 and a writer and columnist with the Island Free Press. Her work has also appeared in a number of regional Outer Banks and statewide websites and publications.